Born in 1565 in the city of Hangzhou, not much is known about Li Zhizao’s early life, except that he was born into a military family. In 1594, he passed the provincial-level imperial examination, thus receiving the provincial degree, or Juren degree. He proceeded to take the metropolitan imperial examination in 1598, whereby he passed it and subsequently received the metropolitan degree, or Jinshi degree. After receiving the metropolitan degree, Li was appointed as administrator in the Tribunal of Works. 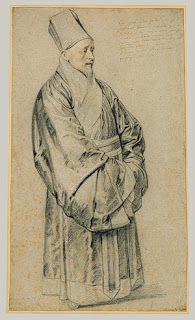 Being a highly-qualified Confucian scholar, Li held many important posts around China throughout his lifetime, especially in the key administrative city of Nanjing. As a government official in Nanjing, Li worked closely alongside Xu Guangqi. Li’s first encounter with a Jesuit missionary occurred in 1601 in Nanjing, when he met Matteo Ricci. Since Li had a very deep interest in various fields of knowledge such as astronomy, geography, philosophy, mathematics and the sciences, he often met Father Ricci and studied under him in order to acquire more knowledge in these fields. Besides imparting Western knowledge in these fields to Li, Father Ricci also taught him some of the basic principles in Christianity. Hence, it was from Father Ricci that Li got to understand the Christian faith better. 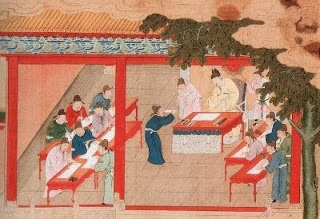 Li held to the opinion that Western knowledge in the sciences was capable of further developing China as a whole. Therefore, he collaborated with Father Ricci in translating various European scientific books into Chinese, so as to spread Western scientific knowledge in China. Li also worked with Father Ricci to produce several original works in mathematics and astronomy, besides inventing new astronomical instruments. 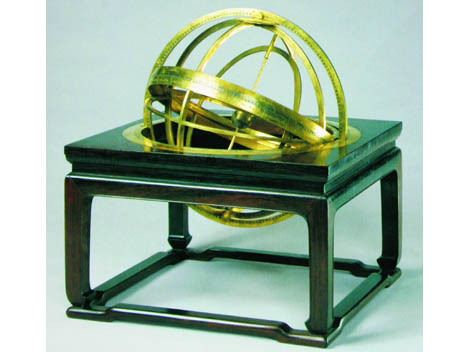 All these efforts contributed much to the spread of Western science in the land of China. After his meeting with Father Ricci, Li was very interested to find out more about Christianity. Li was aware of the fact that Confucianism and Chinese philosophy, as practiced during the late Ming Dynasty, had deviated much from their original principles written in the ancient Chinese books. He was also aware of the growing problem of moral and philosophical decay occurring during his era. He felt that neither Buddhism nor these so-called “deviated Confucianism and Chinese philosophy” could effectively solve those growing problems in Chinese society. Li was diligently looking for answers in order to save his people from plunging further into moral and philosophical decay. Upon closer study of the Christian faith, he found that Christianity held all the answers that he had been seeking all along. He found that Christianity preached principles that were very much like those written in ancient Chinese and Confucian works. As such, Li felt that Christianity was the answer that could help his people to return to their original Confucian roots and Chinese culture. He saw Christianity not as a foreign religion, but as a religion and set of teachings that was capable of bringing the Chinese back to their original cultural, moral and philosophical roots. Despite all these, Li was not baptized into the Catholic Christian faith for quite some time due to his polygamy. He had a wife and a concubine at the same time, and was unwilling to cease this practice for quite some time. The presence of a concubine is unacceptable according to Christian teachings. Nevertheless, Li was a strong supporter of Christianity, doing much to help spread the gospel among the upper class of Chinese society. Finally, a personal experience in his life changed his mind altogether. In 1610, Li suffered a very serious illness and was at the verge of death. Even with such an illness, none of his friends or relatives was willing to take care of him. Father Ricci, moved by compassion and mercy, personally took care of him day and night, treating him like a family member. When Li was at the verge of death, Father Ricci urged him to accept the Christian faith. Li agreed, sent his concubine away and was subsequently baptized. Just when he was about to die, Li experienced a miraculous recovery from his illness. He was fully restored back to health, and was very appreciative to the Lord for this. After his recovery, Li remarked that “as long as I live, all that God has given me, I shall put to good use for Him.” For a start, he offered a large amount of money for the construction of a church in Beijing. Father Ricci died in May of the same year, but Li’s devotion to Christianity remained strong. Li returned to his hometown of Hangzhou upon hearing of his father’s death in 1611. He brought along with him two Jesuit missionaries, namely Lazarus Cattaneo (mentioned under “Xu Guangqi”) and Nicolas Trigault (金尼阁, Jīn Nígé), who managed the funeral. Many friends and relatives attended the funeral, and they couldn’t help but notice that the funeral was held not according to ordinary Buddhist rites, but rather according to a set of rites unknown to them. Li, as well as Fathers Cattaneo and Trigault, took this opportunity to explain to them the significance of Christian funeral rites and the fundamental principles of Christianity. This subsequently aroused the interest of many towards Christianity, thus allowing the gospel to spread further in Hangzhou. Finally, in the month of May that year, the first ever Mass in Hangzhou was held in Li’s residence. Li did much for the growth of Catholic Christianity not only in his hometown of Hangzhou, but also in Ming China as a whole. 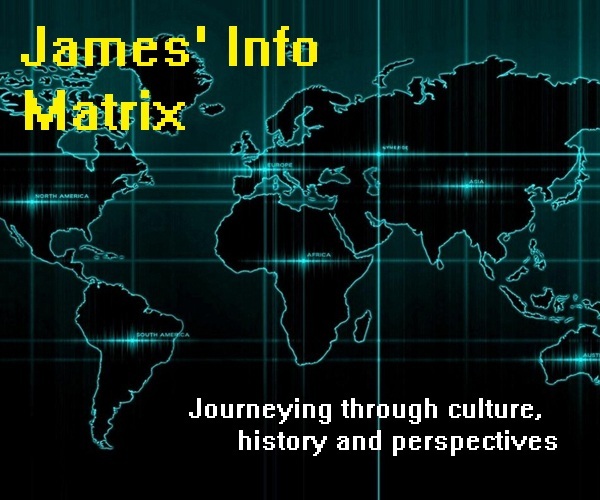 Besides translating European books on mathematics, geography and the sciences into Chinese, he also translated various Christian literatures from Europe into Chinese. 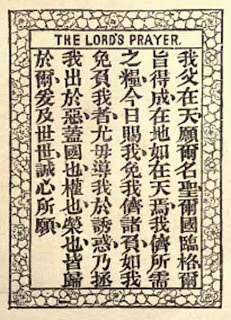 One of Li’s most notable efforts was the 1628 publication of the First Collection of Writings on the Learning from Heaven (天学初函, Tiānxué chūhán), a compilation of many important works on Christianity written by Jesuit missionaries in China at that time. He also included in the compilation some of his original writings on Christianity. In his writings, Li frequently emphasized the fact that Christianity did not contradict Chinese culture and Confucian philosophy, but rather complemented them. He stated that by accepting Christianity, one would be able to return to the original principles and roots of Chinese culture and Confucian philosophy. Chinese culture and Confucian philosophy, as written in the ancient Chinese books, promote morality, virtue and lawfulness, explaining that these elements source ultimately from a Supreme Lord of Heaven. According to Li, many Chinese of his era have deviated from these fundamental principles of Chinese culture and Confucian philosophy, thus contributing to the serious moral decay occurring during the era. He thus concluded that Christianity was the most effective means of leading the Chinese back to their original cultural roots, since Christianity taught things which were similar to what was written in the ancient Chinese books. Li also offered much of his material wealth for the expansion of Christianity in China. During the Nanjing persecution of Christians in 1616, when many Christian refugees fled to Hangzhou, Li provided shelter and protection for them in his residence. He worked with Yang Tingyun to ensure the safety and protection of these Christian refugees. Li died in Beijing in 1630. Born in 1557 in the city of Hangzhou, Yang Tingyun was raised as a devout follower of Buddhism. He was a distant relative and fellow-townsman of Li Zhizao. Being raised as a devout Buddhist, Yang was very learned in Buddhist teachings as well as Confucian philosophy. 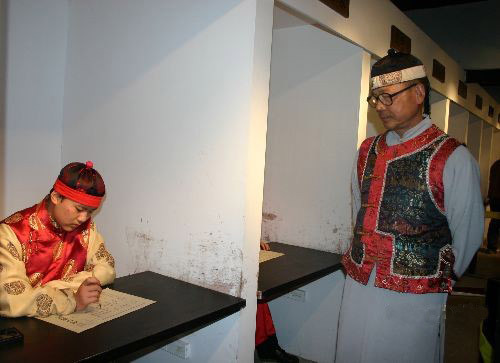 Yang passed the provincial-level imperial examination and obtained his provincial degree, or Juren degree, in 1579. He then passed the metropolitan imperial examination in 1592, thus receiving the metropolitan degree, or Jinshi degree. Having received his metropolitan degree, Yang was appointed to various important administrative positions in the following years. 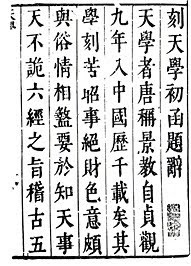 Some of these positions were Magistrate of Anfu (安福, Ānfú), Censor of Huguang (湖广, Húguăng), Education Intendant for Nanjing and Vice-Governor of the Metropolitan Prefecture. As a result, Yang became an extremely influential man in the Chinese aristocratic and political ranks. Before accepting Christianity, Yang was a very staunch Buddhist. He would frequently seek enlightenment from Buddhist scriptures, holding true to the principle that “the heart is the seat of one’s thinking; the heart is the seat of Buddha” (心即理，心即佛, xīn jí lĭ, xīn jí fó). He donated generously to Buddhist temples in Hangzhou as well as throughout Ming China. He also held great veneration for Buddhist monks and would often seek them out to learn more about Buddhist teachings. He was well-known by many due to his continuous efforts in building and establishing Buddhist temples throughout Ming China. 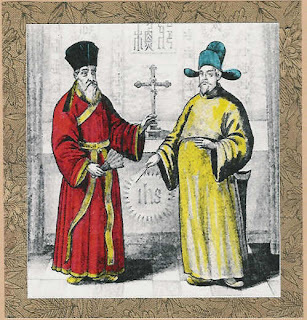 Yang first met Matteo Ricci in 1602 in Beijing, and was impressed at how knowledgeable and virtuous the great Jesuit missionary was. Since then, Yang would frequently visit Father Ricci to listen to his talks on mathematics, science and philosophy. It was here that Yang first learnt about Catholic Christianity, but he did not quite understand its teachings at that time. Nevertheless, he was interested to learn more about morality and virtue from Father Ricci, and was deeply influenced by whatever the great Jesuit missionary taught. It was not until 1611 when Yang actually attempted to grasp a deeper understanding of Christianity. 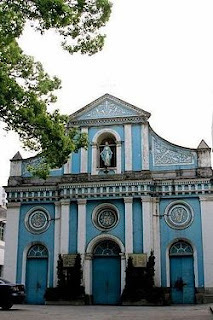 As mentioned before, when Li Zhizao’s father died that year in Hangzhou, Li, along with Fathers Cattaneo and Trigault, held the first-ever Chinese Christian-styled funeral in Hangzhou. Many friends and relatives of Li attended the funeral, including Yang Tingyun himself. Just like many others who attended the funeral, Yang was surprised and curious about this “new set of funeral rites” that was held for Li’s father. Yang was also curious at the fact that Li’s house no longer contained Buddhist imagery and statues, but they were instead replaced with Christian-themed decorations. Since then, Yang often invited the two Jesuit missionaries to his residence in order to learn more about Christianity from them. He asked many questions about Christianity, Buddhism and the Lord of Heaven (God Almighty), and the Jesuits answered each one of them. He also asked further questions about the significance behind the Lord of Heaven’s sufferings and crucifixion when He came down to earth in the form of a man. Nothing was too difficult for the Jesuits to answer, and Yang was deeply amazed at all of their replies. For many days Yang attempted to resolve all his doubts about Christianity and finally obtained a thorough understanding of the religion. At last, Yang decided to accept Catholic Christianity. Nevertheless, he could not be baptized due to the fact that he also had a concubine and a wife simultaneously. He engaged in long discussions with Li Zhizao and finally agreed to send his concubine away in order to be baptized. Hence, Yang was baptized as a Catholic Christian later in the same year. Many of his friends and relatives were also amazed and curious at his sudden turn towards Christianity, and they also decided to follow in his footsteps. All in all, Yang managed to impress at least 100 people to become Christians. 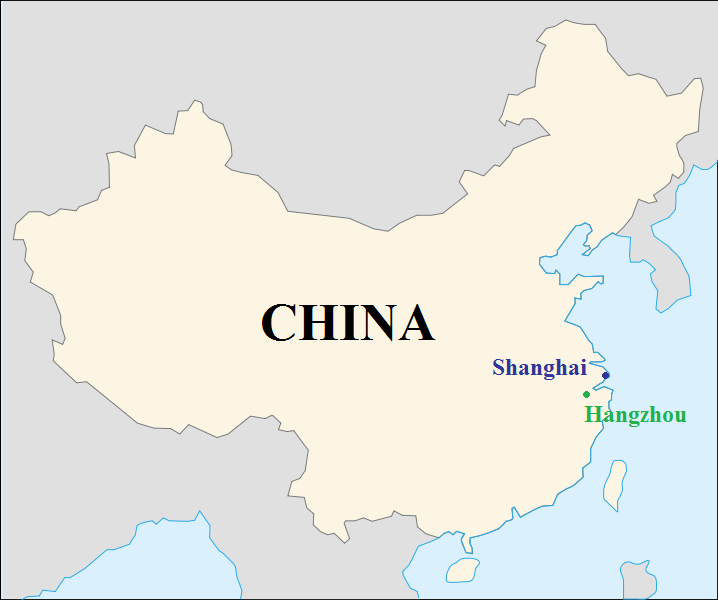 Yang contributed significantly to the expansion of Christianity in his hometown of Hangzhou. He transformed parts of his residence, which contained Buddhist statues before this, into a chapel for Christian gatherings and worship. Besides, he also funded much of the missionary work in Hangzhou and offered land from his personal property for the usage of the missionaries. As mentioned under “Li Zhizao”, when many Christians fled from Nanjing to Hangzhou during the Nanjing persecution of Christians in 1616, they were given shelter and protection in both Li Zhizao and Yang Tingyun’s residences. This was a great sacrifice on the part of both Li and Yang, since such an act would undoubtedly place the both of them in danger from the authorities. Eventually, when the number of Christians fleeing to Hangzhou increased more and more, Li and Yang’s residences could no longer accommodate all of them. Thus in 1627, Yang decided to buy a piece of land in the city, where he then constructed the first ever church in the entire city of Hangzhou. Unlike Xu Guangqi and Li Zhizao, Yang was not very deeply interested in Western science, mathematics or geography. He was more interested in matters pertaining to morality and philosophy. Hence, unlike Xu or Li, Yang did not contribute much to the spread of Western scientific knowledge in Ming China. Nonetheless, Yang was a very prolific writer who wrote many works on Christianity and morality. In fact, his contributions towards the spread of Christianity in Ming China were manifested largely in the area of literature. 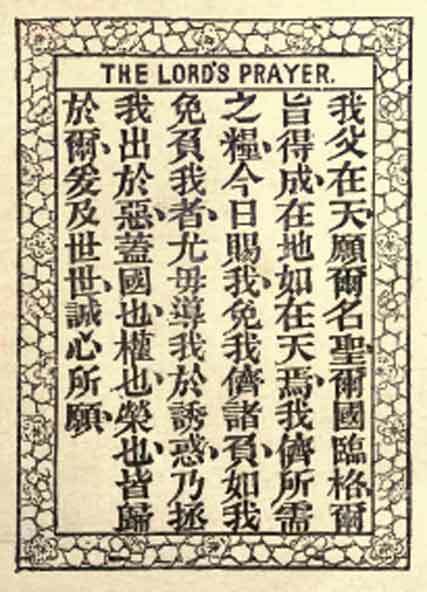 One of his most famous works, entitled The Light Emitted by Heaven (天释明辨, Tiān shì míng biàn), features discussions on how Christianity is closely associated with Confucian philosophy. He also wrote, among others, two famous books entitled Answers to Questions (代疑编, Dài yí biān) and its sequel, Answers to Questions, Continued (代疑续编, Dài yí xù biān). In order to clear people’s doubts and misunderstandings towards Christianity, he attempted to answer questions which were most frequently asked about Christianity in these two books. Another famous book by Yang was The Owl and the Phoenix Do Not Sing Together (鸮鸾不并鸣说, Xiāoluán bù bìngmíng shuō), which was written in defense of Christianity during the Nanjing persecution of Christians. In this book, Yang explained to the people of his era that Christianity was different from the Buddhist sects that existed during the late Ming Dynasty. In addition to writing various books that were mostly intended for explaining Christianity to the Chinese, Yang was also active in helping to translate scriptural texts and works by Jesuit missionaries into the Chinese language. Moreover, he spent lots of money in printing works on Christianity for the purpose of distribution to the public. He was also credited for doing countless charitable deeds to help the poor and needy in society. 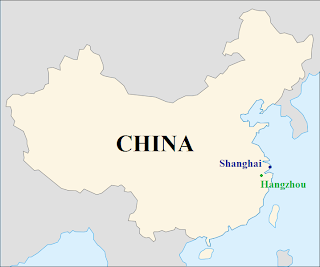 Yang died in his hometown of Hangzhou in 1627. All in all, the Three Great Pillars of Chinese Catholicism were honoured with such a title not only for their undivided devotion towards Christianity, but also for their vast contributions in spreading the gospel and adapting it into a Chinese context. Being prominent Confucian scholars and staunch Christians at the same time, they were living proof of their era that Christianity could, for the most part, exist alongside Chinese culture and Confucianism. Their contributions were extremely vital in the spread of Christianity throughout the empire of Ming China. Indeed, they were the most ideal representatives of Christianity with a Chinese Face. 1) Wang, X. (1998), Christianity and Imperial Culture: Chinese Christian Apologetics in the Seventeenth Century and their Latin Patristic Equivalent, Koninklijke Brill NV, Leiden, The Netherlands. 2) Mungello, D.E. (2009), The Great Encounter of China and the West, 1500 – 1800, Rowman & Littlefield Publishers, Lanham, Maryland.